Jose Mourinho has revealed his gesture to Juventus fans after Manchester United’s 2-1 win in Turin was payback for “90 minutes” of insults. 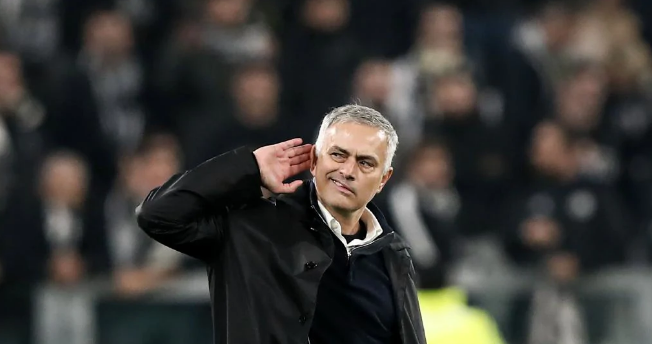 Mourinho, who spent two years in charge of Inter Milan, cupped his ear at the final whistle provoking a confrontation on the pitch with Leonardo Bonucci and Paulo Dybala. The United manager suggested afterwards the Juventus supporters had brought it on themselves. Mourinho also claimed United have ‘one final to play’ if they want to get through. “Juventus have phenomenal players,” he added. “That Cristiano Ronaldo goal was beautiful and the player [Leonardo Bonucci] that made that beautiful pass, is a central defender! They are a fantastic team with an amazing record at home.